All The Write Stuff: Meet Karen E. Quinones Miller, Essence best selling author! Meet Karen E. Quinones Miller, Essence best selling author! What an indomitable spirit you must have and what an impressive journey you’ve traveled: Staff writer for the Philadelphia Inquirer to self-published author to experiencing a literary auction with major publishing houses competing over your work to national bestselling author! Our attendees have so much to gain from your insight. According to your bio, you were turned down by dozens of agents and publishing houses for your first book “Satin Doll.” Was there a specific moment which made you decide you were going to take your manuscript’s fate into your own hands and create Oshun Publishing Company? Karen E. Quinones Miller: My 12-year-old daughter was the one who encouraged me (forced, actually!) to write Satin Doll, and I had let her read the manuscript before I even sent it to agents and publishers. After sending out 35 query letters -- and receiving 50 rejections -- I asked her for reassurance that the manuscript was indeed good. When she said, "yes," we then decided that we would just publish it ourselves. This was in 1999, before the big explosion of self-published books . . . but my daughter and I celebrate Kwanzaa (African-American holiday Dec 26-Jan 1.) and the second principle of Kwanzaa is Kujichagula -- which means self-determination. We decided if we really believed in this principle we should put it into practice, and not rely on someone else to affirm me as a published author. And so . . . we self-published! Being such a successful publicist – 3,000 book sales in six weeks and 28,000 in less than six months, attention from several major publishing houses, Essence bestselling author and the publisher of an another Essence best seller – our conferees are sure to gain a lot from your session “Guerilla Marketing.” I was wondering if we might get a little teaser on how you do what you do. Karen E. Quinones Miller: The most important thing is to train yourself to think outside of the box when it comes to marketing. One of the best things I had going for me, when promoting Satin Doll, was the fact that I had never taken a marketing class. If I had, I'd probably done just enough to sell the 3,000 books in a year -- which was my original goal. Because I had no idea how to sell 3,000 books in a year, I just did any and everything to sell those books. Everything I saw, every person I met, I immediately started thinking how they could be incorporated into my sales plan. So, I'll be sharing some of my own techniques during the workshop on Saturday, but the most important thing is for people to come up with their own . . . and to remember that nothing is off limits! Your stories, for example “I’m Telling” contain thought provoking subject matters which society many times would just like to sweep under the rug. What advice would you give to other writers who struggle to be brave enough to tackle the big subject matters? Karen E. Quinones Miller: Well, I don't think a writer should tackle any subject -- controversial or not -- if it's not something that speaks to them. Don't write about something just because it's commercially advantageous to do it . . . but if there's something in your soul that you need to get out, do it! Don't be intimidated about the "bigness" or the "controversy" involved in the writing about the subject . . . a good writer is an honest writer. If it's in your soul, than the honest thing to do as a writer is to share it with others. Karen E. Quinones Miller: I was the Book Expo of America -- back in 2003, or so -- when Kwan first introduced me to someone as the Aretha Franklin of Black Publishing, and I think it was because I was so well-known for helping new writers with advice and resources . . . and sometimes being their voice when more "veteran" writers chose to unfairly target them. Just curious....but is Oshun considering any manuscripts currently? Karen E. Quinones Miller: Unfortunately, no . . . due to my health issues (first brain surgery, than multiple sclerosis), I've not published a book under Oshun Publishing since 2008. What was the inspiration that brought you to writing? And is there anything you’d like to add that I haven’t asked? Karen E. Quinones Miller: I write because if I didn't I'd be in prison. If I couldn't write I had have to go ahead and commit murder and mayhem in real life. 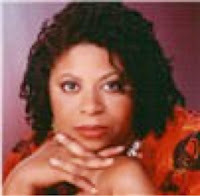 Essence best selling and NAACP Literary Award Nominee, Karen E. Quinones Miller started her literary career in 1999 when she self-published her novel, Satin Doll, and sold 3,000 copies in six weeks, and ultimately 28,000 copies in less than six months. Although Miller, who was formerly a staff writer at the Philadelphia Inquirer, had approached dozens of literary agents and publishing companies about Satin Doll, it was only after her novel’s phenomenal sales success that major publishing houses stood up and paid attention. So many houses were interested at that point, that a literary auction was held and Simon & Schuster won the publishing rights to Satin Doll, and a second book, with a six-figure bid. Miller subsequently published seven books through major publishing houses, but she also maintained her own publishing company – Oshun Publishing Company, Inc. – which she used to publish Satin Doll. Oshun Publishing went on to publish the novel Yo Yo Love, which became an Essence best seller and launched the literary career of Daaimah S. Poole who has since published six other novels with Kensington Books. Essence best selling author, Miasha – author of Secret Society, Diary of a Mistress, and Chasers – also considers Miller her literary mentor and says Miller was instrumental in her landing her first publishing deal with Simon & Schuster.